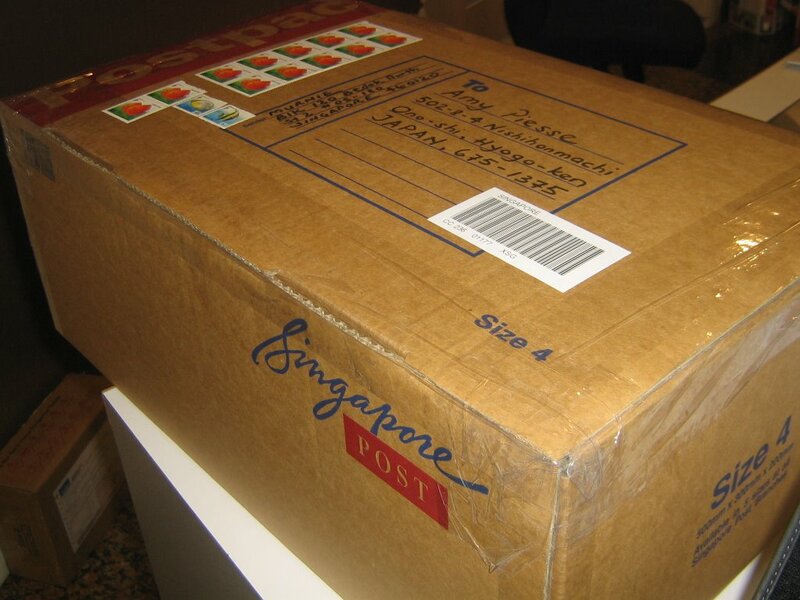 Well, the deadline to send out our package is today, 15 Sep 06. I managed to send it out on time. A list of about 15 items were included in the package and I really hope my swap partner is elated to receive them .. well, who wouldnt be happy to receive a parcel, right?? So hang in there partner, whoever you are, the parcel's gonna reach you in 7 to 9 days' time. To Stephanie of Dispensing Happiness .. my hats off to you for making this BBM possible! This is the parcel that I sent out ..
Oh ya, one of the stuff that my swap partner is going to receive is something that I baked, i.e. Chocolate Chip Cookies. I really hope the cookies are still fresh when my swap partner receives them. Beat butter and sugar till creamy. Gradually add eggs, beating thoroughly after each addition. Fold in sifted self raising flour. Then fold in chopped milk chocolate. Place teaspoonsfuls of mixture on a non stick pan. Ensure room for spreading. Bake for 15 mins until cook. Leave in pan for a couple of minutes then turn out into a wire rack to cool. ya memang betul jugak .. takut jugak .. tapi im giving it a shot je lah .. can be quite costly tau. my postage je costs S$60+ .. blum lagik contents nya .. hehe as for the things that's in package, i will email u separately, k. takut kalau2 recipient terbaca then it wont be a surprise for her already. i will definitely update when i get mine .. so tungguuuuuuuu ..
Salam to you sis. 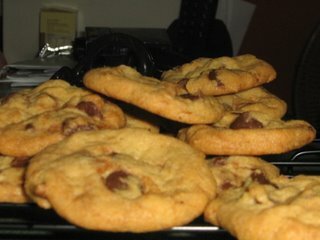 I nak buat yr choc chip cookies, mcm mana nak dapat size besar mcm dlm gambar u. tq in advance. Cookie nie is the sort yang akan spread. You cuma letak a teaspoonful and jgn lupa jarakkan ia. And thanks for coming by my blog. I really appreciate it! It's Here! .. THE PACKAGE that is! BBM - An Update Yet Again ..
BBM - Update Again ..
BBM - Parcel Is There ..